The blogger is on vacation right now in Japan, but that doesn’t mean he’s not tracking things in the Asian entertainment world: this morning I just saw a report on tv about divorcing Japanese celebrity couples. Meanwhile, the 4 big movies are battling it out at the box office in Hong Kong, with Pang Ho-Cheung’s Trivial Matters making chump change on the side. We’re also monitoring the middle finger Chinese authorities gave to Hollywood by allowing The Pursuit of Happyness to be played in China, but only on the country’s handful of digital screens. Lastly, I realized the blog has hit its one year anniversary. I’ll acknowledge that properly in a day or two. Until then, Merry Christmas, and a Happy New Year to all of you! I’ll have to make this clear: I don’t listen to everything that’s out there. Just because I’m a freelance critic doesn’t mean I really have a chance to check out every album ever made. This list simply means this is the best stuff I’ve heard among everything else I’ve listened to in this past year. Obviously, if it’s on here, then these CDs are recommended. 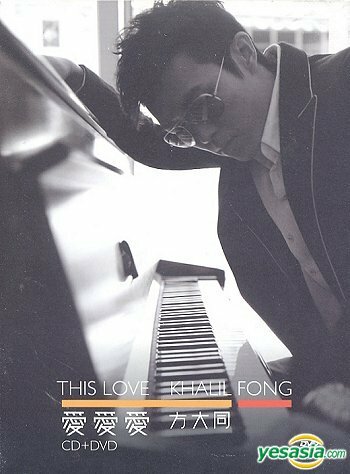 A second album that proves Khalil Fong is the real deal, the talented R&B musician slowly discovers his style after playing a little too much of everything in his debut. The nickname “soulboy” is definitely fitting after listening to this album. Proof that money may not buy you love, but it’d sure buy you a good album. 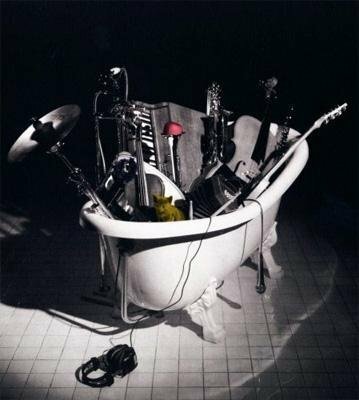 With impressive production values (a Hungarian orchestra! Japanese rappers! ), the dark concept album belongs on this list based on songwriting and production alone. 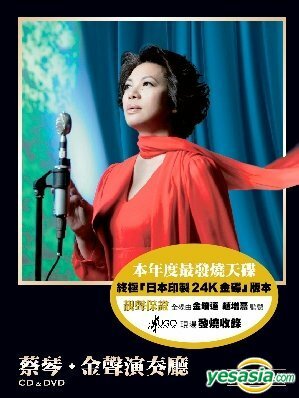 Hong Kong music needs more albums like this. 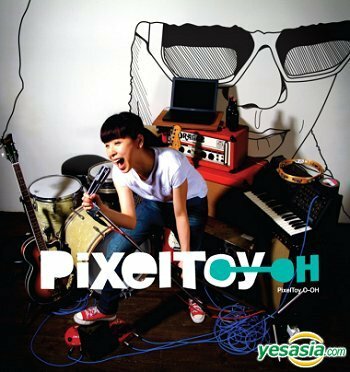 In a rarity for Hong Kong musicians, Pixel Toys took two years to produce their second album, and the effort shows. Moving beyond their established electronic pop style, the People Mountain People Sea group tries a bit of ballad and a bit of Brit rock as well, and it actually works rather well. 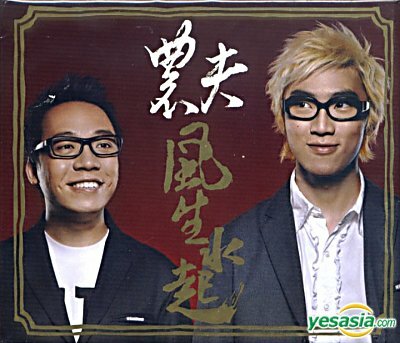 It’s one of the most fun you’ll have on your earphones in 2007 Hong Kong music. Only an artist who can sell out 10 concerts within an hour and a half has the power to release an album made almost entirely of dance songs. 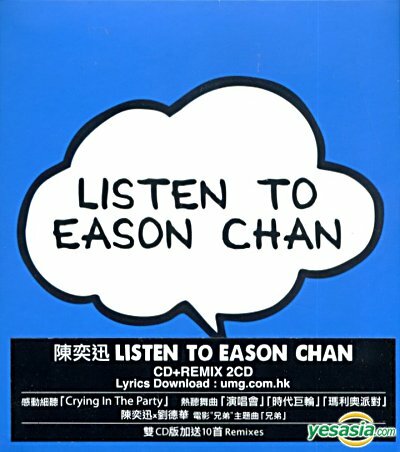 The result is a fun and energetic album that’s unlike any other Eason Chan albums. Too bad for that one ballad in the middle. Filling in the gap for the now-defunct LMF is a (relatively) healthy duo of young rappers produced by LMF’s DJ Tommy. 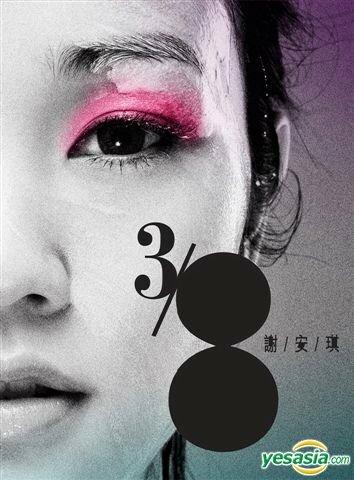 From Feng Shui to Hong Kong entertainment to the Hong Kong handover, Fama shows the places Cantonese rap can go beyond a silly gimmick. A Motown songstress with messed up relationships and possibly a bad crack habit, this young modern R&B diva’s second album shows how to do retro right. Blended with modern elements, this homage to classic 60s soul pop is the discovery of the year. 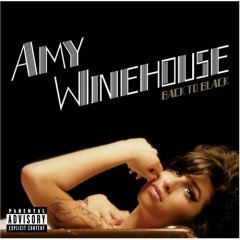 I hope Winehouse makes it alive to the next album: This is a talent need saving. Endy Chow’s band makes a tribute to TIm Burton disguised as an album telling a dark fairy tale. I’m looking forward to part 2 already. Leo Ku and Mark Lui: Check out track 4. That’s more like progressive rock. Kay Tse - both compilations: Don’t like the remixes, but like the new tracks. That’s it for this year. My goal next year: actually listen to enough to compile a complete top 10. - I’ve been trying to post this for days - it’s the first trailer for Empress and and the Warriors, starring Donnie Yen, Kelly Chan, and Leon Lai. I’ve been suffering from big-budget period film fatigue since I saw The Warlords on Thursday so badly that I really wish a few of these things flop so we’d see something new. Then again, this will probably be a hit anyway, and we’ll probably see more big-budget martial arts flick co-produced with China for years to come, keeping famous action choreographers working. At least this one looks like it’ll be in Cantonese. - Jason Gray checks out the Japanese indie comedy Zenzen Daijobu, starring Arakawa Yoshiyoshi, and he seems to like it. Too bad it won’t be in theaters when I’m in Japan. - The cast list for the Stephen Chow-produced Hollywood version of Dragonball is shaping up, with Emmy Rossom having just signed on. Sorry, I still have quite a bit of doubts about whether this movie is going to work or not. - Japan Times has an interview with Ken Watanabe, who just took a year off and is coming back out to do the Japanese narration for the documentary Planet Earth. - Meanwhile, Twitch has an interview with Pen-ek Ratanaruang, the director of Last Life in the Universe and Ploy. - There’s also a feature on Korean actress Kim Yun-Jin, who has hit it big in both Korea and America since her role in the series Lost. - I’m assuming that Takeshi Kaneshiro is done with his latest film about death, because he has just signed on to star in Fiend With Twenty Faces with Takako Matsu. Kaneshiro will play a master criminal and Matsu his victim. Does that mean he’ll be playing a villain? Interesting…. - Another Japanese movie you can look forward to is Homeless Chugakusei (Homeless Middle Schooler), an autobiography by a comedian recalling his days in poverty. The book achieved one million sales within two months, which would explain why the movie was announced within three months of the book’s release. - Apparently, Jackie Chan has finally arrived in Japan to start work on Derek Yee’s latest The Shinjuku Incident. No word, however, on when the film will start filming or how long it will take. - Korean director Im Kwon-taek is in Dubai recieving a lifetime achievement award at the local film festival. - In a preview of Wednesday’s report on the Oricon charts, Exile (which is just two guys singing and 4 backup dancers) announces their latest album has shipped one million copies, and has sold hundreds of thousands of those copies since its release on Wednesday. - Time for the opening day numbers from Hong Kong. Yesterday, the first two big Christmas blockbusters - The Warlords and I Am Legend opened, and The Warlords wins the battle. Peter Chan’s war epic was on 72 screens (out of over 200 screens in Hong Kong) and made HK$1.68 million. This is, according to Variety Asia, including the HK$250,000 it made from previews the previous night, which puts its official opening day gross at HK$1.43 million. It’ll probably hit HK$10 million within the week. The question is only: which day? This means its official opening day only barely beat out Will Smith-starrer I Am Legend, which made HK$1.36 million from 54 screens. This puts the two films’ per-screen average at a head-to-head competition over the weekend, though Warlords will likely win in numbers simply because of the sheer size of the release. Congratulations to Mad Detective for passing the HK$10 million mark on Thursday. Still on 32 screens (though at a reduced number of shows), the Johnnie To/Wai Ka-Fai crime drama made HK$195,000, and should slow down significantly this weekend thanks to the two big films. Oh, the Chipmunks movie opened with only HK$122,000 from 31 screens. Bummer. - Variety Asia also reported that The Warlords opened pretty huge in other Asian territories, although I bet that it’ll be a while before it recuperates the actors’ salaries. - Fairly big news out of Hong Kong (though it’s one day behind): Stephen Fung is planning to direct a film version of the video game Stranglehold. However, he will first have to finish his Stephen Chow-produced dance film and A New Better Tomorrow with Andy Lau and Aaron Kwok, AND the writers’ strike in Hollywood has to end first so he can actually shoot it. Until then, he’s already talked to Daniel Wu and Brandon “Superman” Routh about starring roles, and the story should be about Wu’s Hong Kong cop teaming up with Routh’s American cop. Sorry, story is only free for Hong Kong IPs. - Another possible Hong Kong-Hollywood crossover is also in the works, with Orlando Bloom reportedly visiting Hong Kong to meet with Johnnie To about a possible collaboration. - Under “Japanese drama” news today, the hit Japanese drama Gokusen, starring Yukie Nakama, is seeing a third installment in the Spring. Perhaps not so coincidentally, this comes after her latest drama, Joshi Deka, is yet another flop for the advertisement queen. The hit series is about a high school teacher who’s also the head of an organized crime clan. Natrually, it’s a comedy. Also, the Spring 2007 hit Japanese drama Proposal Daisakusen is getting a gratuitous 2-hour special after people called in saying they were confused about the ending. I think they just asked for a few minutes, not a damn 2-hour special. - Under “more promising Japanese film news” today, Swing Girls director Shinobu Yaguchi is finally work on his follow-up film Happy Flight. Finally abandoning his “unlikely people doing unlikely things” formula, Yaguchi’s film will entirely take place on one flight and centers around three characters. I’m there. - Sorry for doing so much Japanese news, here’s some stuff from China: Turns out China, over its negotiations with the United State government, really am banning American movies for 3 months over piracy and trade issues. - Let’s start with a wrap up of this past weekend’s Japanese box office. A Tale of Mari and Three Puppies opens pretty big with 280 million yen, which is actually 118% of the opening for another hit puppy film Quills (which grossed 2.22 billion yen). 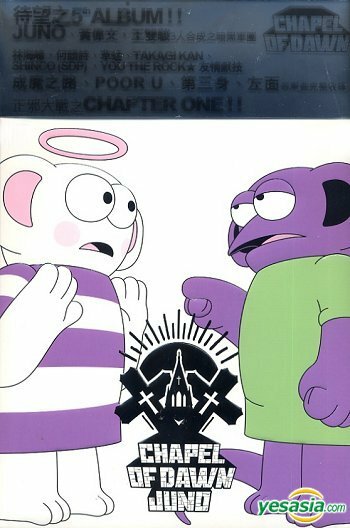 Meanwhile, it’s revealed that Always 2 lost its position because it lost 39% of its business while Koizora lost only 27% of its business. However, Always 2 still has the higher gross, and Koizora is not likely to beat it. In holdovers from last week, Beowulf dropped 41% from the last weekend, and 1 billion yen is going to be a bit of a climb. The Sanjuro remake dropped by a little less, but still suffered a loss of 38%, and will also have a tough climb to that 1 billion yen mark. Kenta Fukasaku’s X Cross finally showed up to the box office charts, except it doesn’t look good: It’s all the way down in 14th place, despite opening on 148 screens. - How about them Oricon charts? In summary - B’z wins again, Yui Aragaki scores an OK debut album, Keisuke Kuwata finds another reason to stay a solo artist, and DJ Ozma still has a music career? More over at Tokyograph. - Peter Chan’s Warlords finally opens tomorrow in Hong Kong. It’s the big-budget action war epic of the season (worthy of a ticket price bump is most Hong Kong theaters, even), but Chan says he actually wanted to make a movie about something. - Under “big celebrity news” today, Hong Kong film star Rosamund Kwan has announced that she is officially retiring from film work and will concentrate of working outside the entertainment industry. This was kind of expected, considering that her last film was all the way back in 2005, but I thought she was just taking it easy. Sorry for the short update. This blogger is really sleepy tonight. Posting will resume as soon as possible. The Golden Rock - December 10th, 2007 Edition. Since we did do that minute-by-minute coverage of The Golden Horse Awards, I guess we should probably link you to the complete list of winners. - Ahead of the award ceremony, Ang Lee also admitted that he made one important edit in the Mainland Chinese version of Lust, Caution at the request of the Chinese censors to make the heroine seem less sympathetic to Chinese traitors. - Let’s look at the Japanese TV drama ratings. As previewed last week, Galileo dipped below 20% rating for the first time all season, though only to a 19.9 rating. It’s no disaster yet, but it’s still the lowest rating of the season, though its average rating is still at 22%. Other dramas that saw their season-lows this past week: Abarebo Mama (at 11.0), Suwan No Baka (at 6.8), Hataraki Man (which dropped ALL THE WAY to 7.9 from 13.2 the previous week), Kimpachi Sensei (at 7.1), Joshi Deka (at 7.1), Mop Girl (at 9.2), and as always - Hatachi No Koibito (at 6.4). On a positive note, Iryu 2 is on an upswing, with its ratings going up for a second week in a row. Utahime is also climbing a slow road up, and SP is still as solid as ever with a 14.6 rating. - As I report once in a while in my box office reports, Hong Kong theatres inflate ticket prices for films that run longer than 135-140 minutes (because it means less shows). It seems like they will be doing the same for the holiday season for films that don’t even run at that length. 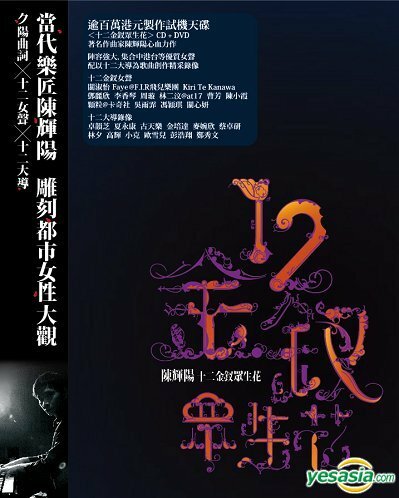 According to Hong Kong Film Blog, one theater is setting a policy where all ticket prices will go up by 5 dollars from the 18th to January 1st. While this theater is enacting the policy because of theater policy, another theater chain is only increasing ticket prices for the two biggest films of the season and blames the distributor for the increase. So who’s the villain? Theater chains or distributors? - I saw Maiko Haaaan!!! at the Hong Kong Asian Film Festival and thought it was hilarious (A real review is still in the works). However, not all of its humor will translate outside of the Japanese language (which is probably why there’s no Hong Kong distributor for it yet), Nevertheless, American distributor/champion of eccentric Japanese films Viz Pictures will be releasing the films in the United States in March. - John Woo’s enormous and troubled epic The Battle of Red Cliff finally wrapped principal photography, though second unit photography is continuing until February. And by troubled, we mean there were rumors of deaths on the set, though producer Terence Cheng denies them. - As the Korean Wave begins to recede, a new Japanese wave is slowly hitting the shore of Korea, as 21 films in the past 2 years were actually based on original Japanese content, much higher than the 5 produced between 2001-2005. Does it have anything to do with cramming too much into a marketplace that doesn’t have enough talents to begin with? - Similar to the Animatrix project, Three Japanese animation house will produce several short animated films ahead of the release for that latest Batman movie, The Dark Knight.